UNITE To Face Addiction | Gambling Recovery Can Start Here. Sharing Hope, Awareness, and Support. Special Article Share 4 Having a Happy Recovery Valentine’s Day By “Know The Odds” …Great Resource Site! Valentine’s Day is here! So how about using this holiday to bring the family together while continuing to recover from the effects of problem gambling. In this article, you’ll find some ways to bring fresh ideas and rebuild relationships shared with a loved one in recovery from problem gambling. The effects of problem gambling can span to affect every significant relationship in the life of the gambler. 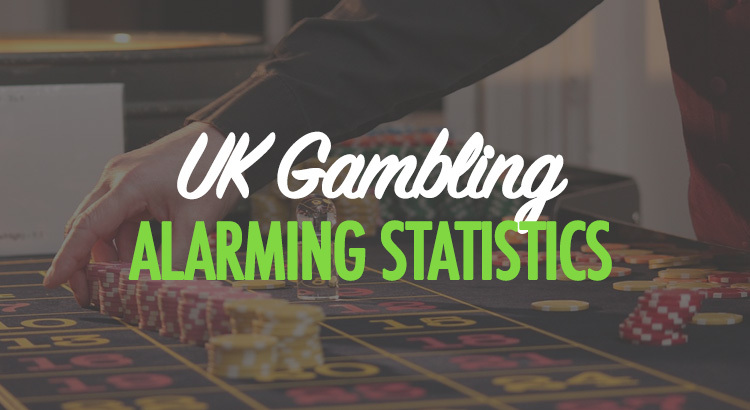 The people closest to the one struggling with problem gambling are affected the most. The people closest tend to be parents, spouses, and children. Although people struggling with problem gambling usually have the best intentions while gambling, the damage can feel overwhelming. Relationships can be repaired. Recovery is possible. Therefore, change is possible, and, with the right help, the partnership can come out stronger on the other side. Holidays and anniversaries are important to keep the family’s connection strong. These special days give reason to stop the regularities of routine and the hustle and bustle of life. They offer devoted time to stop and connect with those who are important. Valentine’s Day is one of those days. Many people laugh at holidays like Valentine’s Day, but, as silly as it may be, it is a day to devote time to loved ones. What can be more important than that? For families recovering from the consequences of a loved one’s struggle with problem gambling, Valentine’s Day can be seen as a great day to focus on the love of family. Therefore, it’s a day to remember why rebuilding relationships are so important, and a way to regain strength to continue on the family’s path to recovery from problem gambling. Many people try to go and buy things to bring joy to loved ones. Flowers, stuffed animals, and colorful cards are great ways to put a smile on a person’s face, but there are other ways. Here are a few ways to spend time focusing on family. Board game night can be a great way to bring some fun to the family. Choosing games that are relaxing, but fun for the whole family can be an exciting way to reconnect with everyone. Some games can include Scrabble, Trivial Pursuit, Sorry or Scategories. All these are examples of fun games to play together with the family. Make sure to choose games that won’t act as triggers for the loved one in recovery for problem gambling and focus on having fun together. Family outing together can be a great way to have fun. There are many family outings that don’t need to cost much or any money. Simple ideas like going for a hike or bike ride together, visiting a local museum or library together, or participating in a night of bowling are all ways to enjoy low-cost or free activities together. Not only are family outings are great ways to step out of the home, but also great ways to create new memories together. Volunteering is a great way to get the family together. There are so many ways to give back to the community or volunteer. You could help a neighbor with their yard, volunteer at a soup kitchen, or spend time at a senior center. Whatever you choose, giving back will bring up the spirits of the family. Volunteering together is a great way to rebuild the family while improving the well-being of the community. It’s worth noting that we screened anyone that did match betting or arbitrage betting to ensure our dataset was not skewed by those that know how to beat the system. It’s hard to judge exactly how much marketing affects our data because those that watch sports are obviously more likely to bet on it than those that don’t watch sports. However, the fact that those who watch football on TV are 33% more likely to gamble on casino games compared to those that don’t watch football on TV suggests that football fans have a subconscious desire to gamble, which must surely be influenced by how often they’re subject to betting and gambling-related adverts. We already know, due to the pre-survey screening, that none of these people know how to beat casinos. Without them knowing how to exploit casinos, we can confidently say that 0%of these people play casino games profitably long-term. People that watch horse racing were by the most likely to place bets out of any sports viewer, with only 2.6% of horse racing fans saying they never place wagers. People that bet on horse racing were most likely to believe they made profits by betting, whereas fans of Formula 1 were most likely to think they don’t make a profit and are simply doing it for the fun. People that bet online were more likely to bet more money each month compared to that 35.3 % of sports bettors believe they are profitable. Only around half of these know what a betting exchange is; the type of site where bettors are most likely to find actual value. Only 7.8% of people that believe they are profitable have never been banned or restricted (stake limits or removed promotional access) by a bookmaker before. This is despite the fact that all bookmakers in the UK will restrict punters that demonstrate any level of skill that could beat them in the long-term. People that bet on sports in-play (whilst the matches or events are taking place) were 2.2 times more likely to say they believed they make a profit than those that don’t live bet. Men also believe they are more profitable than women, with over 22% more men believing they turn a profit via the bookmakers. Young people appear most affected by this ‘profit delusion’. Those aged 18-24 were significantly more likely to believe they were profitable, with 58.5% of people in this age thinking they make a profit. As we have established already, those that are actually skillful and profitable will be restricted by bookmakers, and only 7.8% of those profitable bettors in this study are restricted. This is nowhere near the 58.5% of youngsters that think they make money in this way. Younger people are also betting in bigger numbers. 52.3% of bettors in this 18-24 category are risking more than £10 a month. 12.2% are risking more than £100 a month on sports bets. This figure is 9.3% for 25.34, 7.8% for 35-44 And 7.9% for 45-54. Those in middle-income brackets were 21% more likely to bet on sports than those in low-income brackets and 12% more likely than those in high-income brackets. This could suggest that people with spare income are betting more often, but they’re also craving to have more money like those in the upper-income levels. 81.2% of people that never bet on sports also never play games such as blackjack, roulette, slots or bingo. In comparison, those that do make a wager on sports regularly were 3.9 times more likely to play this casino games than the average non-sports bettor. Unlike in sports betting, where there can be a level of skill demonstrated, fixed odds casino games are impossible to beat in the long term. However, 29.6% of casino game players did consider themselves profitable players, showing a real lack of education in the industry for players. The figure gets worse for those that played casino games regularly as they were also over 2 times more likely to believe they turned a profit versus those that only played sometimes. Almost double the number of people (50.9%) that play casino games regularly believe they are profitable players. Youngsters are again the most wrong here. Those aged 18-24 are the most likely age bracket to think they are profitable at casino games, with 54.5% in this category judging themselves as profitable. This figure declines with age: 30.7% for the 25-34 category, 20.8% for 35-44 and 16.4% for 45-54. Those in low-income brackets were 8% more likely to believe they were profitable casino game players than those in higher income brackets, which could be down to a lower average level of education. 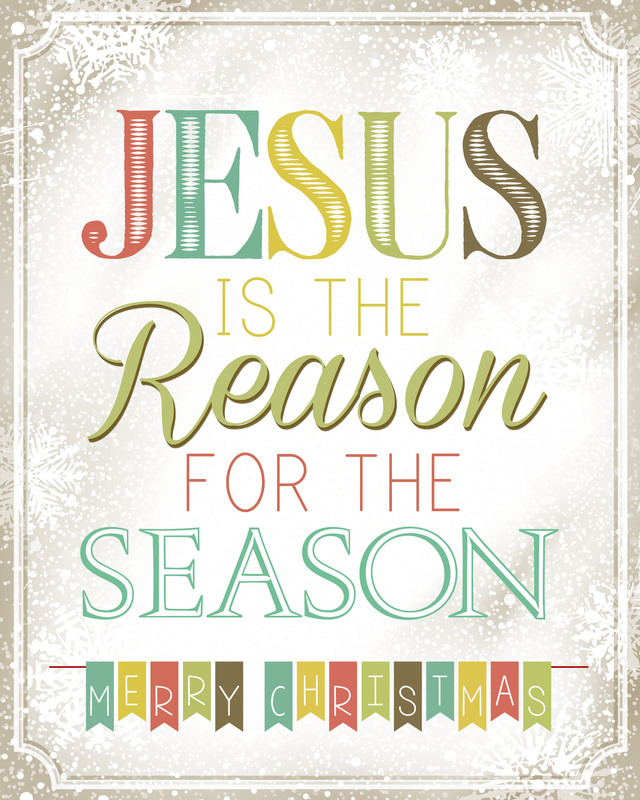 A Holiday Message and Special Guest Article By My Dear Friend Always In ACTION and Solutions! …Ryan Hampton! No Introduction Needed and Straight to THE POINT! By, Ryan Hampton, Advocate. I got hooked on prescription painkillers in Florida, buying green and blue tablets from the pill mills that spread through Miami. I learned to shoot heroin in Florida. I ate at the homeless shelters there, begged for change at the gas stations, and tried one treatment center after another. I experienced the opioid crisis up close and personal: I lived it. After leaving Florida in 2013 and finding sustained recovery four years ago in California, I’m still experiencing the effects of the epidemic. Now, I see it from the other side. I work in policy, pushing for recovery-related reform at the national level. I work hand-in-hand with grassroots groups across the nation to ensure that our voices are heard. This year, I’ve learned that if recovery is not represented at the decision-making table, it quickly falls by the wayside. I’m able to be such a vocal activist in part because I’m white. I’m the guy in the Warby Parker glasses, the hoodie, and the backpack, trying to force change everywhere I go. I see few advocates of color at the table and at higher levels of leadership — especially when funding is in play. I do my best, but I can’t speak for a community I’m not part of. I can call out systematic problems that exclude people who are in need. The fact is, in our focus on fixing America’s “opioid problem,” we’ve fallen into the same old ignorant patterns. White, suburban, middle-class opioid users are receiving an overwhelming amount of media attention. People who look like me are in the limelight: the addiction crisis is hot right now, but only certain aspects of it actually make it to the mainstream. We’ve ignored communities of color, alternate pathways to recovery, harm reduction, and substances other than opioids. As a result, meth is on the rise, as well as benzos such as Xanax. Well-intentioned advocacy from both policy leaders and grassroots groups have actually created more victims because it fails to include all people with substance use disorder. The divide between policy and the day-to-day struggle of people in active addiction is widening. Who cares what legal protections we have if they don’t actually save lives? What’s the point of creating progressive health care systems if those systems aren’t accessible to everyone who needs them? Furthermore, the media misrepresents small steps forward as the “finish line” while sensationalizing opioid use in specific regions. Instead of becoming more inclusive, our definition of recovery is narrowing. That squeezes out the most vulnerable members of our communities, while those with more privilege—who fit the mold of the “model addict”—get sympathy and support on their journeys to wellness. That means that, on the same day, a headline about the opioid crisis in Appalachia shares a page with a story about Senate leadership unanimously backing the new opioid bills. It doesn’t make sense. These stories are linked. They are one and the same. The average addict looks nothing like the rural poor of West Virginia—the drug epidemic affects one in three American homes. Yet, just as the media chose to sensationalize the crack epidemic as a “black problem,” addiction is once again becoming “someone else’s problem.” When we see addiction represented as something that happens to other people, we don’t deal with the problem that’s in our own backyards, living rooms, and classrooms. Yet, there are examples of people working hard to address the crisis without shame, stigma, or discrimination. Dayton, Ohio recently made headlines for cutting its overdose rate in half by focusing on giving help freely, to anyone who needed it. The city removed barriers to treatment by investing in public health, supporting harm reduction measures like fentanyl test kits and clean syringes, and offering diverse options for recovery support. The place where I hit the bottom of my addiction—is making incredible strides too, by making naloxone available literally everywhere and putting it in the hands of people who already use opioids. The county is also the home of the state’s first and only syringe exchange program. These two places are reversing the opioid epidemic by treating it like a public health crisis—and not shutting out people in need because they “don’t fit” the way we see addiction in the media or in budgeting meetings. Instead of assuming that a rising tide of recovery will lift all boats, they decided to build a boat that has a seat for everyone. This year, the drug crisis worsened, even as we made incredible strides forward in leadership, policy, and breaking the stigma of addiction. Clearly, what we’re doing isn’t working broadly, for people of diverse backgrounds and needs. We can’t leave them behind and then pat ourselves on the back. We need to look at movements like AIDS activism and focus on helping people survive. Not just white people, not just straight people, not just wealthy people, not just employed people, not just housed people. All people. I’m as guilty as the next person of losing sight of that goal. I, too, spent a lot of this year focused on opioids, and how they affected only the people I know. In 2019, I want to do better. We have a larger problem than opioids: we have a problem with our perception of addiction, our education about the illness and our response to this crisis. That includes the community of pain patients who are being pushed out of the discussion on opioids and penalized by stricter prescribing guidelines. In fact, we can find common ground between recovery advocates and pain patients, instead of leaving anyone on the sidelines. This is not a problem that can be solved by separating and specializing it to death. We have the data, the tools, and the evidence that are proven to work. We need to use them and make them accessible by actually meeting people where they are. In 2019, I’m committing to making harm reduction and saving all lives my focus. You can’t help someone if they’re dead. All the well-crafted legislation in the world won’t bring back the fathers, mothers, and children who we’ve lost to drug-related causes. What we can do is bring help to those in need. We can give them their dignity. We can see them from the other side of the crisis, and meet them wherever they are. “The issue isn’t opioids: it’s ignorance. What are we actually trying to fix? Are we solving the problem, or simply eliminating the people we don’t think deserve help?” … I’ve looked at this epidemic from both sides. I know where I stand. I hope others will stand with me and lend their voices to a movement that includes everyone and offers real, meaningful solutions. This doesn’t have to be complicated. Simple measures like making naloxone widely available, offering 24/7 access to safe injection sites with fentanyl test kits and clean syringes, and connecting people with help the minute they need it ensures that they can get through 2019 alive. Together. In one piece, recovered. Ryan Hampton is a person in recovery from heroin addiction and author of “American Fix: Inside the Opioid Addiction Crisis—and How to End It,” published by St. Martin’s Press. He’s a nationally recognized activist and founder of the nonprofit advocacy organization The Voices Project. When a person is struggling from any addiction, especially gambling addiction, it can be hard for them to recognize how far gone they are. Feeling hopeless from the financial pressures as well. Even if they see that they need help, understanding how to get help and the first steps towards getting it can be complicated. There are so many addiction recovery options, each with their own pros and cons. Adding to the confusion is stress over the cost of treatment and the logistics of leaving your life behind in order to get better. I know it seems overwhelming, but once you take that first step, things will begin to fall into place. Here are some ideas of what that first step might look like, and where you can start your recovery process. The first step on the road to recovery can be as simple seeing your family physician. And let’s not forget, Addiction is a disease, and you don’t need to be ashamed to tell your doctor that you have a problem and to ask for help. Your doctor will be able to provide you with recommendations to an addictions facility or to other addiction recovery programs. Once the doctor gives you some referrals, the next step is to call around to the different programs and see which one you feel best about, and then get started on getting better. Just like you would go to your doctor for a referral to an oncologist if you had cancer or a diabetic who has diabetes, there are medical professionals that specialize in addiction recovery that your doctor will be able to put you in touch with. Most addiction recovery programs will provide a free assessment to anyone who needs one. You can meet with a team of experienced addiction recovery experts who can help you to determine what the best plan for healing would be for you. Whether a residential stay would be appropriate for you, or an outpatient program, having an assessment will give you an idea about where you’re headed. These professionals can also help to get you enrolled in a 12-step program or other programs and support groups which are completely free, and put you in touch with other resources. If an addict is physically dependent on an illicit substance or nonsubstance like gambling addiction it is incredibly dangerous to stop using it all at once, especially on your own. There are many misconceptions about gambling addiction and a “withdraw” process, as addicted gamblers DO have and go through a “detox” period just like any other addict. This is one harmful way that many addictions like drugs operate, by, ironically, making it unhealthy for you to stop using them. This is where detoxification programs come in. A detox program provides a safe, medically supervised space for an individual to get treatment as a substance and brain chemicals change or begin with substances, leave their body. Most treatment centers and facilities will start you along in a 12-step program during your initial treatment, and you should continue this work with a group of your choice once your treatment program is completed. These 12-step meetings like AA, NA, and GA are a great place to gain perspective from people who understand what you’re going through so you will see your not alone. You can make new friends, gain support, and expand your support system as you continue to overcome your addiction. Other resources that can help you to find work or a safe place to live can also be found in a 12-step group, so getting involved can really save your life. For recovering gamblers, ask your GA, (Gamblers Anonymous) trustees to schedule a “Financial Pressure Relief ” meeting with you and your spouse and go over the packet to begin your financial inventory and on the road to the accountability of the financial damages and pressure, you may be feeling. Recovery resources are essential, but social support and love are important parts of your life as well, so you shouldn’t neglect them. Weed out friends or family members who would hamper your recovery and learn to rely on those who are supportive of your process. Include those who love you in your recovery, and let them help you to reach your milestones. Making new friends can be hard, but it will be one of the most rewarding parts of recovery if you can connect with safe, sober, uplifting people to share your journey with. Don’t allow the isolation of addiction to continue to have a hold on you. Branch out to others for support and enjoy the opportunities it gives you to serve and to give back. Sometimes the first step to recovery doesn’t come from the addict themselves, it comes through the help of those who love them. If you can see that your loved one is struggling with addiction, but they are resistant to getting help, it’s probably time to stage an intervention. Prepare yourself and other attendees well ahead of time, and have some recovery options ready to get started on right away. Check out Catherine’s Resource Page while your here. There are also other support groups like “Celebrate Recovery” … Find one in your area with the Celebrate Recovery Locator. You’ll be well on your way to a Brand New Life within Recovery! Happy Thanksgiving Week and Kick Off to Another Recovery Holiday Season! You need to be mindful of where we came from and how far you have come and have worked to positively move forward in life. It is essential to do so, especially at Holiday time, as you walk farther away from your past within addiction. I thought I’d share a little of my “Holiday” article I wrote for my gambling recovery column QUIT 2 WIN over at “Keys To Recovery” newspaper. So why do we need to reflect as we move farther away from our past “wreckage and damages” from our addictions? It gives us a sense of accomplishment and gratitude as we become thankful for all the work and “change” we have put forth to get where we are today maintaining our recovery path. We also need to be mindful of those who “don’t have what we have” when it comes to recovery. Many do still have struggles around the holidays and why I will be recovery blogging and being close to my phone and email through the holidays for my 6th year now. I do this to be of recovery service to those who are new to recovery and may have a tougher time through the holiday season. I started this recovery tradition right after my book, ‘Addicted to Dimes’ released in late November of 2012, and decided I would do it every year. I knew how hard it was around the holidays when I was still deep within my gambling addiction, and when I first started recovery. We have feelings of desperation due to no money for gift giving, decorating the home and even holiday meals. I still remember walking up and down the store isles wishing I could buy this or buy that and feeling sad and mad at myself because it was all my fault, my gambling was why I couldn’t. Anger, stress, and holiday chaos can be triggers, so as I’d leave the store and gamble a few hours to help me feel better hopefully. But it didn’t because I was desperate! Even in recovery, the holiday season can be filled with many opportunities to gamble with the people around them, which may threaten their gambling addiction recovery. So be mindful through the holiday season. I am also sharing below a little “Faith” from Harvest Church of Pastor, Greg Laurie. Because as we enter the Holiday Season, it is many times with stress and worries. I work my own recovery through faith as I would not be on this earth otherwise. I’m just not too loud about it! Lol. When your life is pulled back from “A Power Greater Than Ourselves” from suicide not once, but twice? You know that IS a miracle of GOD. So turn those worries and the stress of the holidays into PRAYERS. the world. There are the worries in our own country, including the threat of terrorism and the threat of North Korea. Then there are personal worries, such as health worries and family worries. It seems as though worries are always there, always closing in on us. But worry isn’t productive. In fact, it’s a failure to trust God. The word worry comes from an Old English term that means “strangle” or “choke.” That is what worry does. It chokes us. Worry does not empty tomorrow of its sorrow; it empties today of its strength. Modern medical research has proven that worry breaks down our resistance to disease. It actually diseases the nervous system and, more specifically, the digestive organs and the heart. In fact, 79 to 90 percent of all visits to primary care physicians are stress related. Philippians tells us, “Be anxious for nothing, but in everything by prayer and supplication, with thanksgiving, let your requests be made known to God; and the peace of God, which surpasses all understanding, will guard your hearts and minds through Christ Jesus” (4:6–7). We need to turn our worries into prayer. That requires developing a conditioned reflex. We all have natural reflexes, like when we touch something hot and immediately pull back. Then there’s a conditioned reflex, something that becomes natural after we’ve done it so many times. For instance, standing during the national anthem or placing your hand over your heart during the Pledge of Allegiance is a conditioned reflex. We can’t control our universe, as hard as we may try, but we certainly can pray about it. The next time you’re tempted to worry, pray instead. Turn your worries into prayers.